The last week or so I have been blogging about what a Homecoming Mum is, where they come from and how to make it. 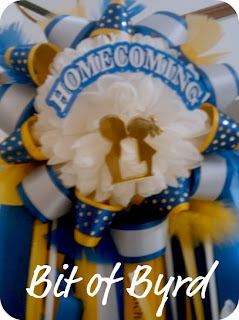 Today is about the variations that you can put on a mum to enhance it or make it different. 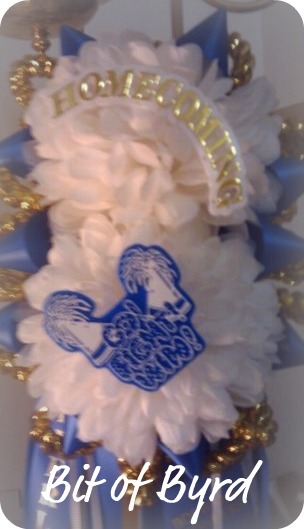 Below are two mums made for seniors. They both have several variations from the one we made in the previous posts. One variation is to not use all points. But instead to fold the ribbon in half like below. You can have single colors or overlap them for a different look. You could alternate single and double with a 3 color combination. This had folded over doubles and points. This would be using something more than ribbon in the backing. 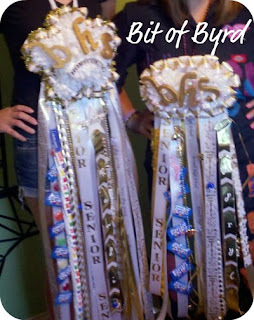 How you choose to put your date's name on the mum. There are unlimited possibilities. Most I came up with through imagination and trying it out. I always like to use bells to cover staples. But scrapbook stickers are great too! 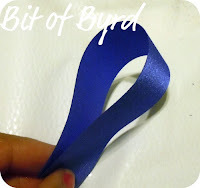 #1:: This ribbon fold is the most common for a name. Each loop gets a letter. 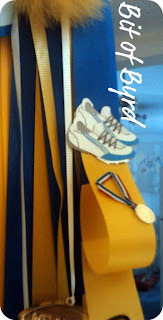 #2:: To create this I made white loops like in #1. 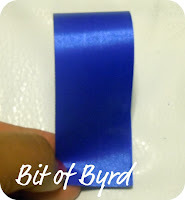 I then used the medium yellow and cut the blue medium thinner so the two ribbons would be the width of the white. 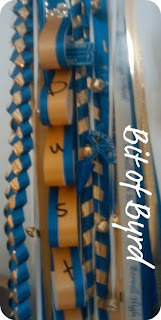 #3:: This is #1 on a slant, with more bells to cover staples. A single mum doesn't always cut it. So you can do a double, a triple or more. do you see the tinsel rope? These mums had the most customization. They were for my sister and her friend. 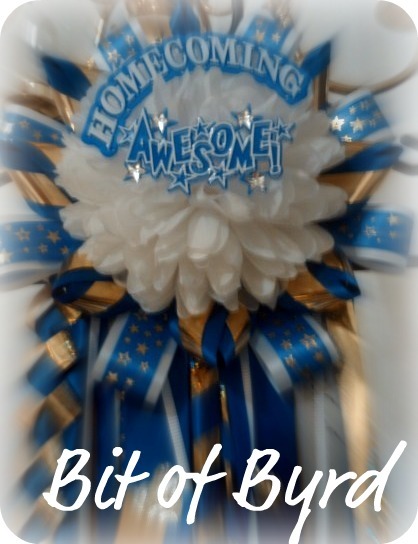 I made the star mum by using one large mum and five smaller ones. 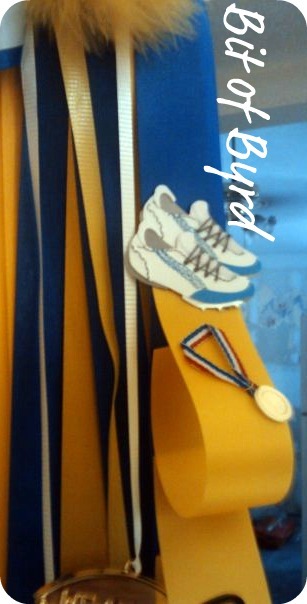 I created the backings with poster board. I painted the wood letters with glitter glue. I cut the collar out of a t-shirt and attached it instead of a pipe cleaner so it could comfortably be worn around the neck. There was candy all over it!!! 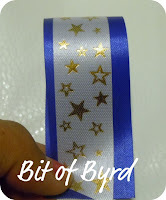 Hot glued straight onto the ribbons. On the left mum you can see a line that almost looks like colored blocks next to the razzles... those are actually sweet tarts. They are laying on top of each other like fallen dominoes. I know this seems easy... school colors. Well you are right. If the person you are making the mum for is a freshman, sophomore, or junior. But if they are a senior... you're wrong. Traditionally seniors separate themselves from everyone else by wearing white and silver.